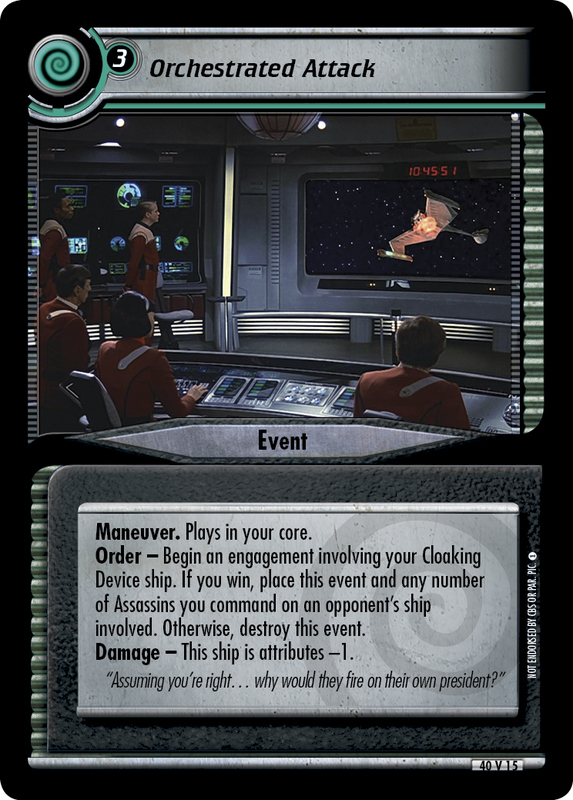 Order - Begin an engagement involving your Cloaking Device ship. 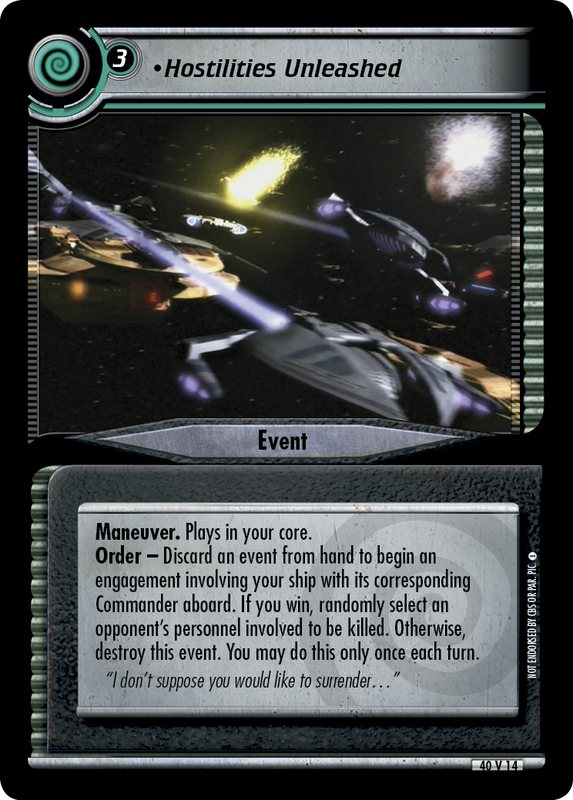 If you win, place this event and any number of Assassins you command on an opponent's ship involved. 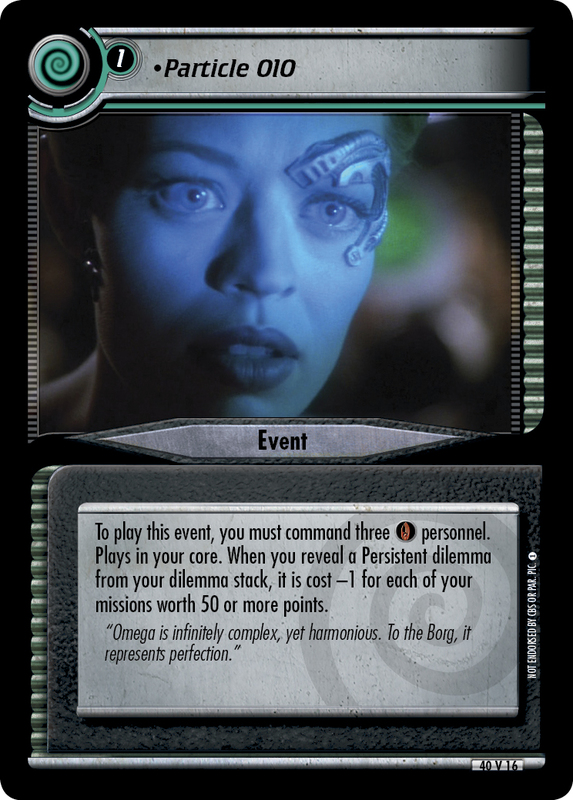 Otherwise, destroy this event. Damage - This ship is attributes -1. "Assuming you're right... why would they fire on their own president?"